PRC Building ServicesNewsRoofingWhy Choose A Metal Roof For Your Workplace? Why Choose A Metal Roof For Your Workplace? Thanks to its cost effectiveness, superior durability and ease of installation, metal or steel has become the standard material for new commercial and industrial roofs. It is also the number one choice as a roof replacement solution for industrial and commercial buildings in Perth. Metal roofs last longer than other roofing materials, look better and can perform better over a building’s lifetime in the harsh Australian conditions. Products such as Bluescope Steel’s popular Colorbond or Zincalume range – which has been used for both residential and commercial applications for over 45 years – have been designed to reduce heat transmission, which in turn can help reduce your heating and cooling bills dramatically over a number of years. The baked-on finish of Colorbond steel also helps to prevent warping, cracking and peeling, creating the ultimate low maintenance roofing material. Colorbond steel has also been developed to be termite and weather resistant, as well as non-combustible, and is considered the best material to use to combat mildew and rot. It is estimated that as a roofing material metal will also remain weatherproof for around 40 to 70 years, depending upon its location and the nature of the climate. Having a long lasting material that you can rely on is very important in a state such as Western Australia, which experiences some of Australia’s most challenging weather including hurricanes, lightning, major storms and fierce summers. Gone are the days when a metal roof meant a boring shiny grey exterior. These days metal sheeting comes in a variety of colours and styles, and almost any design can be accommodated, from architecturally inspired high tech to more traditional styles and everything in between. The other advantage to using a product from a range such as Colorbond steel is that they also include matching building and roof replacement solutions such as walling, guttering and fencing. This means you can design a total finished look by using just one material and integrated accessories. Finally, steel is the number one choice as an environmentally friendly product because it is 100% recyclable. It is also lightweight, meaning that it can be transported to site quickly and easily, reducing costs for the overall project. It is also quicker to install than other materials, which may require considerable alteration on site. This means that you are less likely to experience any downtime for your business throughout the duration of the roofing project, saving you money in the long run. 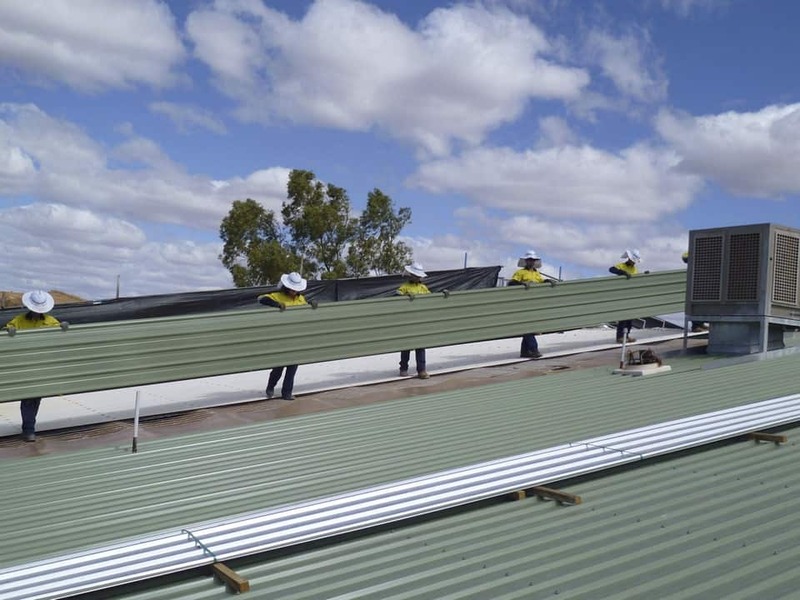 PRC Building Services is the number one company in Perth offering metal roof replacement solutions as well as new commercial and industrial roofs and shedding. For over 20 years they have provided commercial roofing throughout Perth and Western Australia, with their commitment for ensuring the highest safety standards and zero downtime for businesses seeing them being awarded the Premier of Western Australia’s Environmental Award.